National Indemnity purchased FFG in 2009 according to an FFG Health Insurance Company review. It uncovered a company that was founded in 1990 and after financial struggles during the economic downturn, was sold. 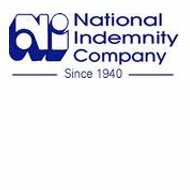 National Indemnity is a company that goes back to 1940 when two brothers in Omaha, Nebraska wanted to provide coverage to taxis. This business made some great strides to earn the A++ (Excellent) rating from A.M. Best. To get commercial health insurance rates for your business today, simply enter your zip code in the search tool provided here. FFG stands for Federal Financial Group and is now part of Berkshire Hathaway, a division of Warren Buffett’s conglomerate. Executives are on solid financial footing and solvency with this group. FFG’s headquarters is in Dallas, TX and offers property and casualty insurance to commercial businesses where vehicles are a central part of the business. Each state establishes the minimum amount of coverage needed for commercial transport. You are not limited to that amount however, for you may obtain additional coverage at your discretion. Many business owners obtain more collision or comprehensive than required for example. A basic auto plan is going to include liability, bodily injury, and underinsured or uninsured motorist coverage, in addition to medical or personal injury protection. These plans offer state minimums and coverage your business might require. Additional coverage pertains to general liability, worker’s compensation, and relative inclusions. Like most companies, FFG include a life insurance policy as well as a retirement plan. They also offer internships to recent graduates who are looking to earn credits or to test-drive the position. Tuition reimbursement is another benefit to becoming a FFG or National Indemnity employee. Filing a claim with FFG or National Indemnity may be done in one of three ways. You can email the claims department, mail or call them 24/7. It is important however, to have all the necessary information readily available for answering questions. Once the claim is filed, you will receive a representative assignment and claims adjuster as needed. Appraisers and adjusters are independent of the company so you will receive a fair assessment. The company claims department can offer network repair shops and other referrals also. These network relationships are for the policyholder’s convenience and it usually saves money for everyone involved. If there are any injuries the company recommends that, you call the claims hotline regardless of the limited information that may be available at that time. You can check the status of your claim online. National Indemnity works in collaboration with GEICO on claims and offers a hotline number on the company website. This company sponsors indemnity coverage up to one million dollars for prizes like the half court basketball shots and hole in one golf contests. They cover hockey puck shots and fishing contests. This company in addition to concerts, parades, and sporting events insures fireworks shows. Anywhere there is a large gathering of people, short-term liability insurance coverage is a good thing to have. Third-party medical coverage is included in this type of policy in the event someone gets hurt. FFG through National Indemnity is making the commitment to growth and convenience. Their website is expanding to allow policyholders to view their policies online in addition to making changes to them. In addition, you will soon be able to make automatic premium payments online or have them drafted from your account, which entitles you to an $88 discount. To get health insurance rates from major insurers such as National Indemnity for your business, enter your zip code here to get started.